When Caleb was a toddler there were certain sensory issues that we noticed. He did not like to wear socks. He would wear them with shoes if he needed to but the moment he walked in the door to our house his shoes and socks came off as if his feet were on fire. Caleb also was very picky when it came to foods he would eat. He was very restrictive on what he would touch or put in his mouth. If it was a casserole mixed with a bunch of ingredients (like macaroni salad or three bean casserole) forget it. There was no way he was eating it. He did however like hot dogs and chicken. For breakfast it was instant oatmeal or pancakes. Lunch and dinner of course was the hot dogs or chicken. I had never had a child so picky when it came to food. After my sons diagnosis with autism I began to understand about the nature of WHY he was so picky. There is a condition called Sensory Integration Disorder (that commonly occurs with autism, but can occur without autism tendencies) in which the bodies ability to absorb and make sense of environmental stimuli is unusual. The good news is it can be treated. It is usually treated using a method called Sensory Integration Therapy. When Caleb was finally placed in a birth to three class his occupational therapist started this therapy with him. Up to that point I had never heard of this therapy before. She had a row of three bins in front of her. Each day the bins were filled with different textured items. One day it was dry oatmeal, pudding (made) and cotton balls. Each day there were different items in the bins. She would take the hands of the children with sensory issues and place their hands in the bins forcing them to feel and experience the different textures. For many children this process was not pleasant. I am sure my son was one of them. As the children experienced these textures over and over, they became used to the feel of them and it bothered them less. My son went through this therapy for the duration of the school year which was ten months. At the end of the ten months, suddenly my son was open to trying different textured foods. He was not restricted to a small amount of foods any longer. Still to this day at almost 21 there are few foods he will not eat. That was one aspect of our life with autism that was much better. 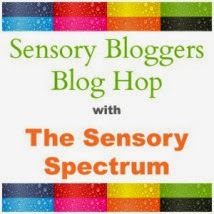 Another area of need with these "sensory kids" is a sensory diet. These children have problems organizing sensory input from things around them. Certain sensory exposures that make processing sensory input more effective. Some parents use couch cushions pressed against their child as a form of deep pressure. Others have used a brushing technique where a small bristled brush is rubbed up and down the arms and legs. These forms of therapy are effective because it helps "reorganize" the sensory things around them that their body can not make sense of. If they do not get a way to "reorganize" then many kids have behavioral issues as a result. Many affected by autism throw temper tantrums or even become aggressive. My son used to smash his head into the wall, punch himself in the face or throw himself violently onto the floor. We were terrified he would end up with some form of head injury. My husband and I did the couch cushions using deep pressure, and even did the brushing for a while. One day, his occupational therapist suggested that we get a portable hand massager that vibrates. We purchased one and started using it up and down Caleb's legs and arms just as we had done with the brushing. We would do this therapy several times a day. Caleb, (then around five years old) would realize how much better it made him feel. He would start to seek out the massager and use it himself. It was the most wonderful thing anyone has ever suggested for my son! It was portable, and was able to be packed in his book bag to go to school. We had it written in his IEP that he could use it in school and that's exactly what he did. Since that glorious day, Caleb never has hit his head against the wall, hit himself, or had any major tantrums. Whenever he got to the point where he was overwhelmed, he would reach for his massager and all was well with the world. I am not sure if the occupational therapist ever knew the major impact that this simple suggestion had on our life. I will forever be grateful.